This story actually begins 12 years ago when I made my first Il Timpano. Two and a half agonizing days to produce the large, tub shaped pasta, cheese, meat and sauce filled drum. Layers of savory sauces, precision sliced meats and hand-made pastas, lovingly prepared, painstakingly cooked and sleep deprived assembly to produce that culinary masterpiece. Was it worth it…really? No, probably not. It was good, my dinner guests loved it, but did the effort and time involved weigh against the end product? I probably could have just done one of the ingredient components of the dish and they would have been equally as happy…. and, I would have had two good night’s sleep to boot. But easy isn’t really the point. I always seem to find myself elbow deep in some cooking project. It’s important to me to fully commit myself to a food project and to do it as it was originally done… at least once. Only then can you fully appreciate the effort involved in creating complex flavors, and the traditions created in preserving and guarding old family recipes. Four years ago I chose to attempt a La Pastiera Napoletana – an Italian grain and cheese tart. And once again, I recreated every step. I made my own ricotta.. I dutifully soaked the whole wheat berries the full eight days to allow them to slightly ferment creating a warm cheese-like aroma. Since I could not find a supplier for the candied zucchini, grapefruit and hard squash – I made my own. The soaking, slow cooking, and ingredient preparation – 12 days in total. It was (is) in short, cheesy nirvana, and worth every minute I spent in the kitchen. It is a beautiful dessert and I will be recreating it here later on this year (it is typically an Easter dessert). 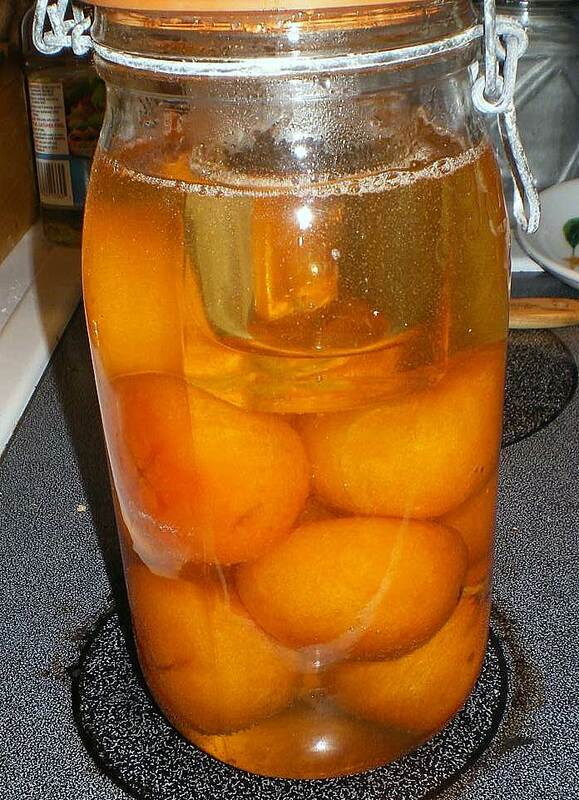 Then came the 30 days to make my own preserved lemons. I’ve already written about them in All That Lemony Goodness No, they aren’t terribly complicated, but they do require attention and handling. And..well.. it’s time consuming. But you end up with beautiful salted lemons, useful in 100’s of recipes and they can be added to just about any poultry or lamb dish. This year’s project began with a bag of Clementines that had begun to dry up and shrivel a bit from holiday overload. I had watched a Jamie Oliver program earlier in the season in which he had used glasee oranges in a fruitcake preparation. I wanted some. After being unable to find any purveyor for them in the States, or anyone in the UK that was willing to export any. I began to research what it would take to make my own. Once again… this isn’t terribly difficult… it’s just the new ball and chain for the year. I am now into the second 10-day soak on the fruits. I am going to detail the process up to where we are now. I will finish this story in 15 days – after the soak and drying stages are complete. 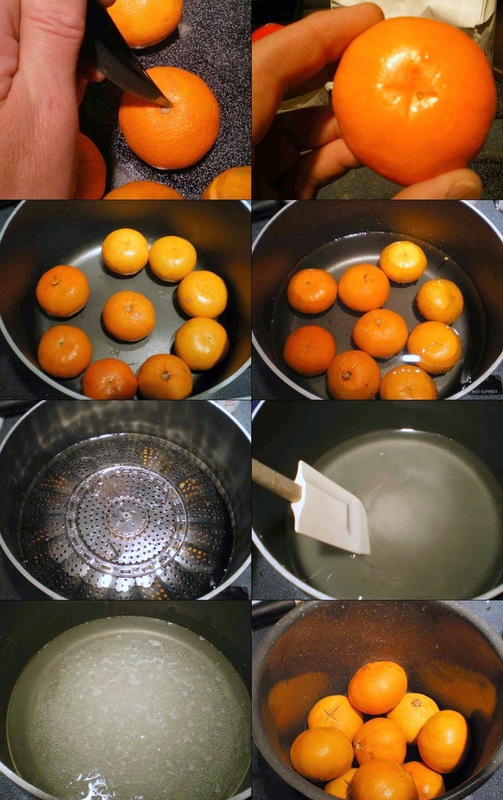 Place the oranges into the glass jar and pour the syrup over them. Seal and let steep 24 hours. Repeat this step 5 times. Repeat this step once more. 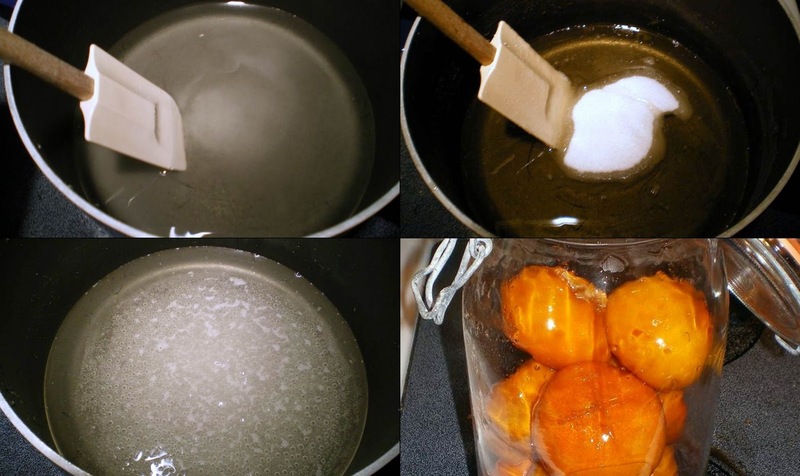 At the end of the 2nd 3-day steep, your syrup will begin to look like light honey. Transfer the whole lot back to the jar, seal and let steep for 3 weeks. This is where we are now. We will be back at the end of the last soak to complete our Glaśee Clementines. Don’t forget – if you haven’t entered the TFX Non Stick! giveaway, you have until January 24th at 12 noon EST to enter! Jump back to the entry rules here. This is a fun project, keep us posted on the final result! Hi Toby. 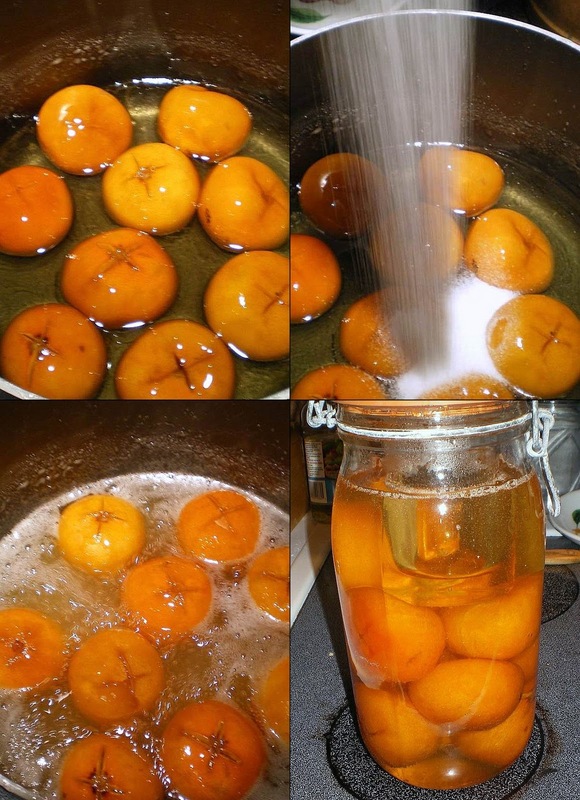 I'm so intrigued with these preserving projects. 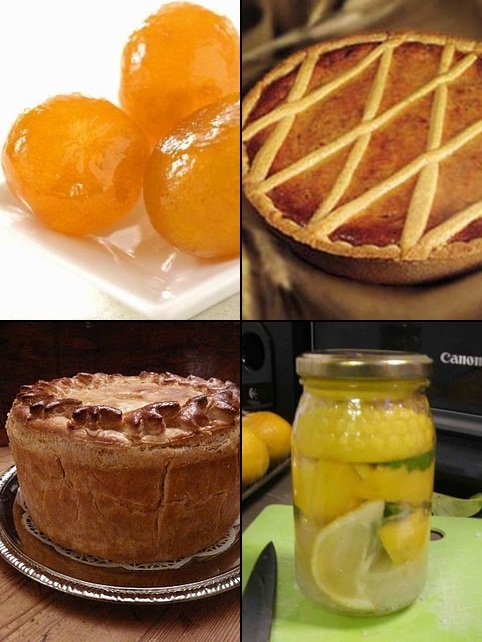 I have not done these and am not sure how to use the lemons but love the idea of making them. A great way to use a seaonal food in a unique way. I'm definitely going to try it.Thanks for visiting my blog and your funny comments on the Worst Cooks! I too tried to talk myself into believing the special 'Hor D'Oeuvre' tasted like 'poor man's satay sauce' but the mayo and olive just kept me from getting there! Following you now too! @Mother RimmyI can't either.. It is soo hard to resist the temptation to push the process. I am so impressed with your attention to detail and determination! I can't wait to see your finished product! @Nippon NinIf I've done the process correctly, when they are finished, they should be a translucent orange globe. If I haven't.. then they will be muddy, brownish orange lumps – suitable for chucking at squirrels. This is so intereting but bit labor intensive to me. This has really nice color already but keep it like that till done? @PaulineI had found les fleurons when I was trying to find a local supplier. The cost to the UK was steep enough.. it was astronomical to try and get them to the US. Hence… I'll make my own :)I tasted the syrup on the last reduction step, I'm looking forward to finding uses for it… just a really nice and bright orange syrup! Thanks for the interesting post. It's good to keep skills alive. Although we can buy candied fruit here in the UK we also get a lot from France at a price! http://www.lesfleurons-apt.com/?lang=en. The other good thing about this is that you can use the syrup too. @kitchenarianI knew it was going to be a lot of boiling and soaking. I attempted a Mostardo a couple of years ago and figured it would be in the same realm. I just hope they are worth the effort. If not, at least they'll be pretty sitting in the cupboard. I am fascinated with the whole process. Can't wait to see what they look like when finished. They sound divine! Great post. Toby I can so identify! Cassoulet…we made the duck confit, sausage, and i baked the bread for the crumbs. I have duck breast hanging in the wine refrig because I am making duck procuitto. The fun is in the challenge. I tip my hat to you.